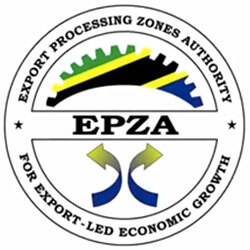 The Tanzania Export Processing Zones Authority (EPZA) has entered into an agreement with the Commission of Science and Technology (COSTECH) to allocate and develop an area for the purpose of improving the country’s Information and Communication Technology (ICT) sector. Under the agreement, EPZA will allocate land where necessary infrastructure will be build by the two institutions so that to attract domestic and foreign ICT companies to invest. The agreement was penned down by the EPZA Director General, Dr. Adelhelm Meru and his COSTECH counterpart, Dr. Hassan Mshinda in Dar es Salaam this Monday. ” This is an important milestone for the ICT development in our country,” Dr. Meru said after the signing. The agreement seeks to allocate a total of 238 hectors in Bagamoyo’s Special Economic Zone under EPZA where the two organisations will collaborate to put necessary infrastructure such as roads, electricity and water. Once completed, the area is anticipated to be a largest ICT hub in East and Central Africa region. The two institutions want to attract global ICT companies such as DELL, IBM MICROSOFT and HP to invest in the area. ” Bagamoyo will be the centre of ICT in this region,” he said, adding that the progress is a crucial one for the country especially at this time of implementing Big Results Now initiative. The cost to develop the area is anticipated to be TZS 50 billion but Dr. Meru said that the advantages of developing the area outweigh that figure. He noted that companies that will invest will bring in technology, capital and create more than 100,000 employments in the country. On his part, Dr. Mshinda called the agreement as a crucial starting point toward the development of ICT sector in the country. ” This is the beginning of building the ICT capacity for Tanzanians and therefore sustainable development,he said. He explained that they will involve private sectors in reaching their objectives. ” We have already held talks with some investors including universities and companies from countries such as Malaysia and India,” he noted.